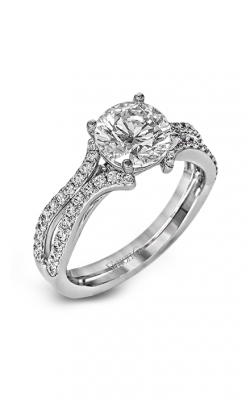 Have you ever wanted an engagement ring that’s so packed with diamonds that the whole ring glitters from the merest move of the hand? 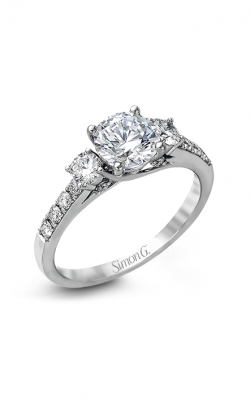 Then you’ll love Simon G engagement rings. When Simon Ghanimian, the patriarch of the brand, immigrated to the United States as a young man, he brought with him Old-World traditions of craftsmanship that he harmoniously blended with New-World delight in experimentation. 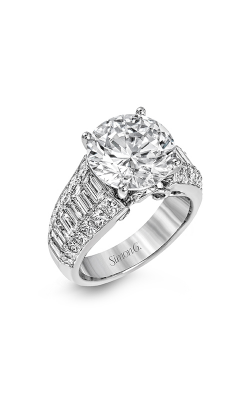 Today, the Simon G brand is synonymous with perfection, and thanks to being an authorized retailer, BARONS Jewelers is your first stop for every collection that the designer puts into the world. One of the most precious things about the Classic Romance collection is the way that the rings in this line embrace different colors, marrying them in one piece. 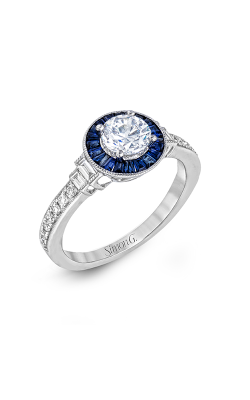 Of course, this covers two-tone gold designs, including split shanks that intertwine 18k white and rose gold, but it also includes pairing flawless white diamonds with the oceanic richness of sapphires. 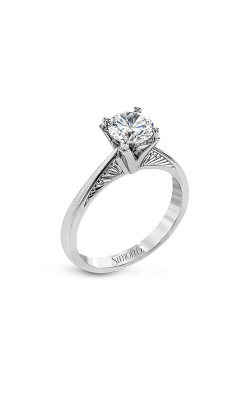 Alternatively, if one wants to purely focus on the fiery refinement of diamonds, the Passion collection is designed with so many pave side stones that an engagement ring can capture a single flicker of light and refract it into a shimmering river across a fiancée’s finger. 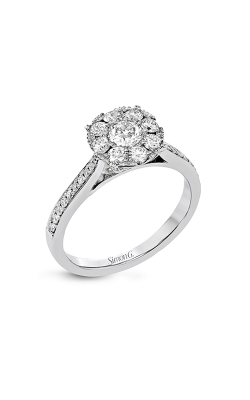 The Vintage Explorer collection is named for the incomparable traditions of the Art Nouveau and Art Deco periods. Typified by both the organic, flowery curves of the 1800s and the bold lines and strong geometric perfection of the 1920s, each Vintage Explorer engagement ring is a platinum or 18k white gold method of reflecting a woman’s love for the elegance that informed the 20th century. Also, if you love the Art Nouveau look, the Garden collection takes the inspiration to its extremes: Bands and halos like interwoven crowns of flowers typify this collection and are absolutely second to none. 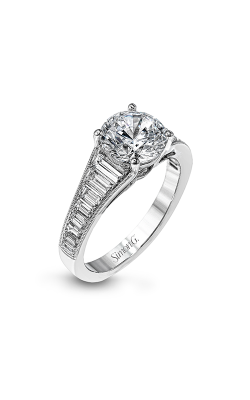 Why Shop for Simon G Engagement Rings at BARONS Jewelers? 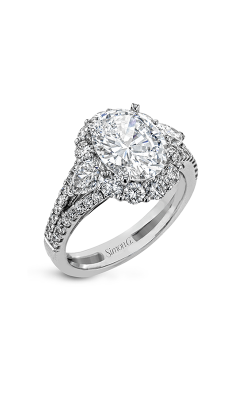 For over half a century, BARONS Jewelers has brought the finest selections of Simon G. engagement rings to the women of Dublin, California. 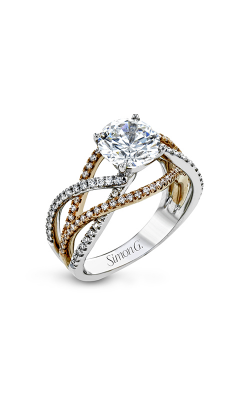 In addition to Simon G., we carry a treasure trove of engagement rings and wedding bands from other luxury brands, as well as Swiss-quality timepieces and fashion jewelry, including bracelets, necklaces, earrings, and fashion rings. If you’re looking for white-glove services, don’t forget that BARONS Jewelers is a full-service jeweler, and our goldsmiths and watchmakers put their decades of skills to work keeping your pieces perfect for generations to come. Stop by our showroom today to find out more!